What is Google Drive? It’s Google’s answer to cloud storage. What is cloud storage? well, don’t worry it will all be explained in this article. Before we get on to explain how Google Drive works it makes sense to explain Cloud Storage. It’s assumed everyone knows what working in the cloud means. This isn’t necessarily the case. It may have been around for some time, but it takes a long time for new technology to take off. Especially when it means putting your personal data in the hands of a company you may know little about. Cloud storage is not a new concept. In fact, it has been around since the 1960s, but even that date can be debated when it comes to cloud storage. However, when it comes to the cloud as we know it today, it was first launched by Amazon in 2006. Amazon’s cloud storage service (Amazon S3) was not aimed at the consumer directly. Instead, they aimed their cloud storage service to developers. It was then up for the developers to introduce new services to the consumer market. This happened in 2008 when Dropbox launched as one of the first cloud storage services aimed directly at the consumer. Dropbox is a well-known cloud storage service, and it stores your data using the Amazon S3 cloud service. Cloud storage may sound complicated or confusing to understand, which is why it can put people off using such services. Cloud storage simply means storing your data on a server owned by the cloud storage provider. The reason cloud storage is different is that it gives you the functionality to also retrieve, edit and delete data you’ve previously stored in the cloud. Think of your hard disk in your computer. Every time you want to save your work, you save it to your hard disk. If you want to retrieve that work at a later date you simply load the file from your hard disk. This is exactly what cloud storage is doing, but instead of saving to your local hard disk, it’s saving the work on a hard disk, on a server at your cloud storage provider. Google Drive is a cloud storage service introduced by Google in 2012. Before then it’s fair to say the only real competition was from Dropbox. It’s no coincidence that Google Drive was launched a year after the Chromebook was launched in 2011. The Chromebook was specifically designed to work from the internet, so it makes sense Google needed to launch their own cloud storage service. 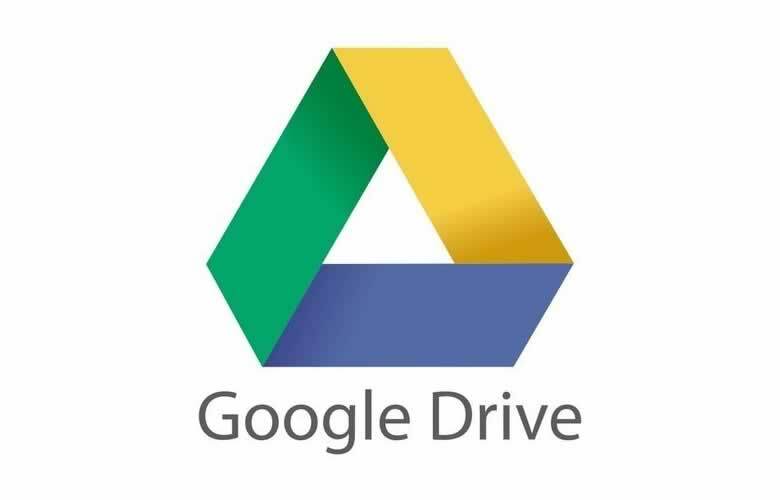 Google Drive is available to anyone who has a Google account. The fact you need a Google account to use your Chromebook means, if you already own a Chromebook, you have access to Google Drive. However, as mentioned, it’s available to anyone who has a Google account. One of the main reasons people open a Google account is to get access to ‘Gmail’, which is Google’s email service. It’s fair to say that ‘Gmail’ is possibly the best free email service provider available to the consumer today. The fact it also provides you with Google Drive and many other features makes owning a Google account an obvious choice. Google Drive comes with your Google account free of charge. You get 15GB of storage, which is shared between your emails, Google Drive and Google Photos. That is a pretty impressive amount of space considering you get it free of charge. If you need extra storage you can simply pay for a bigger plan and the prices are extremely competitive. There are many cloud storage providers out there, which you can choose from. As already mentioned there is Dropbox, but Microsoft also offers ‘One Drive’. These are considered the big three when it comes to cloud storage for the consumer, but there are many other cloud storage providers out there. This can be confusing, as you may struggle to decide on what service to use. It’s important you choose the right cloud storage provider and you should definitely avoid smaller providers. The reason for this is cloud storage does not come cheap to the provider. If they go bust, and I’ll go out there now and say many of them probably will. What will happen with all your valuable data? If you’re reading this article it most likely means you’re a Chromebook owner or are considering buying a Chromebook. If that is the case then the choice is really simple. You should choose Google Drive as your cloud storage provider. The reason for this is because Google is not going to go bust anytime soon, but more importantly, Google Drive works seamlessly with your Chromebook computer. It makes sense that Google Drive and your Chromebook works together seamlessly. By registering your Chromebook with a Google account means you already have access to Google Drive. Also, nearly all of the Chromebook apps available are designed to integrate with Google Drive. This is what makes using cloud storage on your Chromebook a really easy thing to do. When you use cloud storage on a Microsoft Windows or Apple Mac, you need to make a choice to use Google Drive. Google Drive works great with all computers, but I’m sure One Drive by Microsoft works great for Microsoft Window users. So the choice isn’t as straightforward. However, if you own a Chromebook the choice is much more straightforward. Using Google Drive with a Chromebook is the sensible choice. If you’re not already using Google Drive and you own a Chromebook, then you should start looking into how to use it. It also possibly means you are currently storing your files locally on your Chromebook. This is fine, but Chromebooks do not come with a large hard disk for a reason. It’s because they have been designed to save your work in the cloud. If you want to know more about the history of cloud storage have a read of this article from the web. Providing you choose a large provider then saving in the cloud is safe. It’s much safer than saving your work locally to your computer. By saving your work in the cloud means your data will be available even if your hardware fails. This is one of the issues of saving data locally. If your computer crashes or hard disk fails, you’ve lost all your data. You can back up your data to try and avoid this, but this is time-consuming and is something you can easily forget to do. Even if you set a scheduled back up, you still run a risk of not all your data being saved. If you schedule a back up to run once a week. Imagine if your hard disk failed just before the scheduled back up. What would you do if you had been working hard all week, all of the work for that week would have been lost. This is why it’s much safer to save your work in the cloud. When it comes to saving work locally you always get the dreaded thought of having to back up all your work when it comes to deciding to upgrade to a new model. Worse still, you have a situation where your computer gave up on life and you were not prepared for it. People lose huge amounts of data by saving their work locally. Even if they are lucky enough to back up their data, it’s easy to forget about different folders where your work is stored. When you save your work in the cloud it does not matter if you decide to upgrade or your computer dies. As soon as you purchase a new computer and register your Google account, all your data is available to use. There is no action to take it’s just there ready to use. 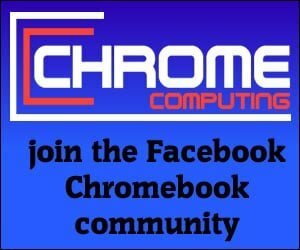 Cloud computing is the way forward for any computer user, but for the Chromebook user, it’s essential. 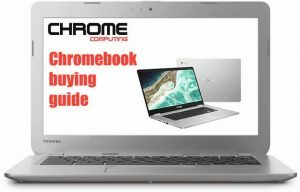 You can find out more about the Chromebook by reading what is a Chromebook and how it differs to Microsoft Windows.